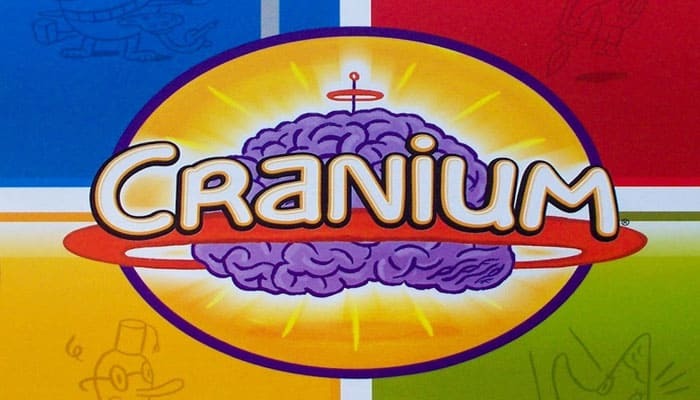 Cranium is a party game that calls itself the "whole-brain" game. The game has similarities of Pictionary, Charades, Trivial Pursuit, Celebrities or Huggermugger. 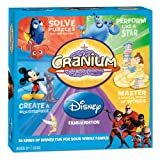 Unlike many other party games, Cranium includes a wide variety of activities. Each turn, your team will harness its collective brain power to advance around the board. 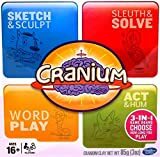 The goal is to reach the Cranium Central by completing activities in each of four sections: Creative Cat (blue), Data Head (red), Word Worm (yellow) and Star Performer (green). The game includes 400 challenges. You will need to spell, draw, puzzle, act, hum or just guess your way to victory. Players make teams, with a minimum of two players on each team. Each team receives a pad of paper and pencil, and a pawn which goes on the board at "start". Put each box of cards next to their appropriate space on the board. The team with a player whose birthday is coming up next goes first. Your team must be the first to reach Cranium Central and complete a final activity successfully.